Transform your Hypervibe into a full featured vibration machine with the Hypervibe Bolted Tower for G10 and G14 Vibration Machines. 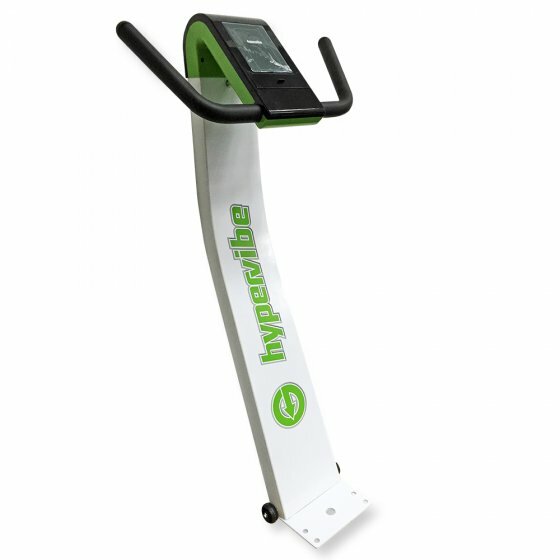 Hypervibe Towers and your mobile phone or tablet, you get fully featured display with control of the machine. Enjoy the benefits of a virtual personal trainer with 38 exercise programmes and 100+ videos. Bluetooth connectivity allows you to control or program the machine via devices such as smartphones, MP3 players and tablets. Simply download the Hypervibe app and the software will tell your Hypervibe Vibration Machine what to do! Simply fasten the screws and you have a full featured vibration machine. Compatible with iPod, iPhone, iPad and Android **iPod, iPhone and iPad are trademarks of Apple, Inc., registered in the US and other countries. Devices not included. 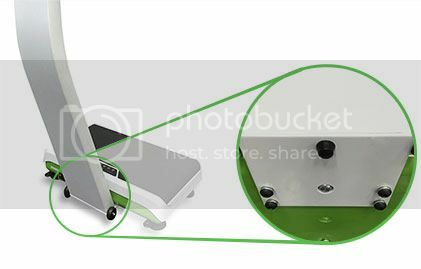 *Please Note: Bolted Tower is not compatible with G10 Mini Vibration Machine. Click here for Docking Tower option.